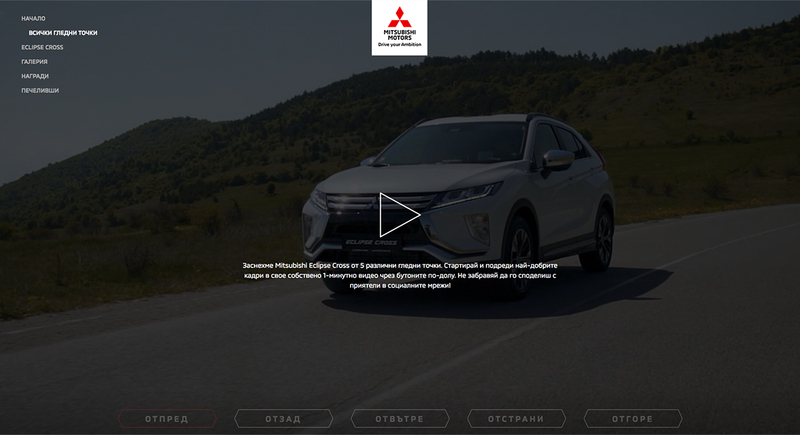 In the beginning of summer it was time for Mitsubishi Motors Bulgaria to introduce their awaited new model Eclipse Cross to the market. With the help of our partners Native Kids, who did the creative concept and design, we launched the campaign “Different from every point of view”. We created a landing page, banners and used the different communication channels to get to the right audience: Facebook, Google Search, Google Display and Youtube, Darik Radio, Auto Motor und Sport online magazine; Top Gear online magazine; AutoBild online magazine. We also organized an online game with purpose to generate creation and sharing of videos made by fans. The end result was an increase of sales by 113% for the January-September 2018 period.